Globe Head of Customer Lifecycle Management Jay Beltran shares that over 58 million rewards points were used during the 3-week My Rewards My Globe campaign. 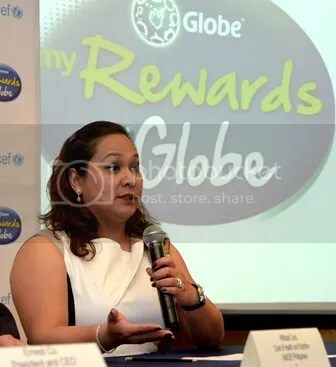 Globe Telecom announced that the recent campaign of its flagship rewards program, MyRewards MyGlobe, generated over 1.4 million redemption transactions using a total of 58 million points. The 3-week campaign allowed Globe prepaid and postpaid subscribers to redeem rewards at 50% off. For the promo, Globe offered its subscribers various rewards such as USBs, gift certificates, and Globe unlimited text and call services at half the required number of points.